Who doesn’t love a good puzzle or scavenger hunt? I’ve always wanted to put on a physical scavenger hunt, inspired by The Pzlr, who does an annual (epically difficult) hunt for his friends in Chicago. So, for my birthday (since it’s the one day I year I’m allowed to boss people around), Jared and I organized a hunt loosely based on The Amazing Race. We gave everyone a basic set of instructions, and off they went! 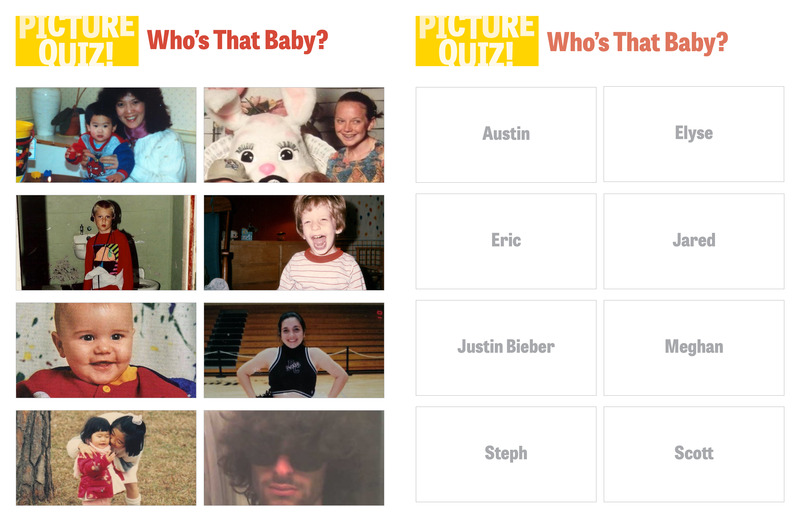 I made this leg because picture quizzes are always my favorite part of Trivia Night. 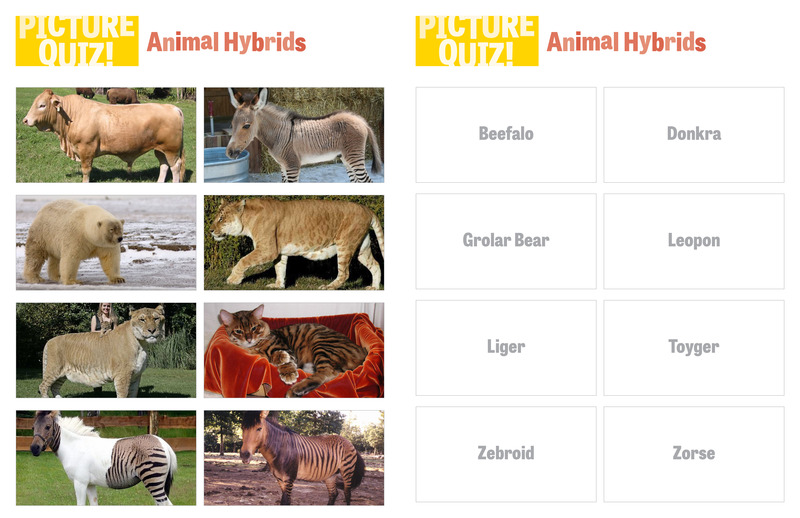 To make it less like a worksheet, these picture quizzes were cutout cards that teams had to put in the right order. 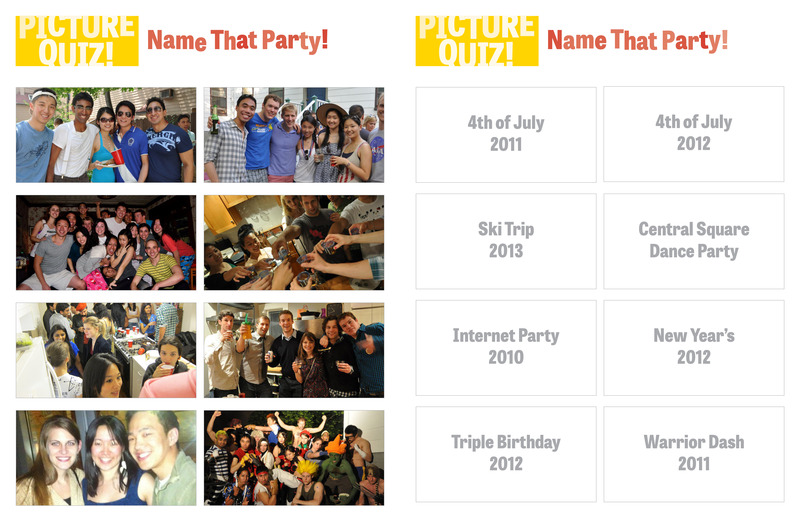 The best part of this leg were the picture quizzes based on race attendees. 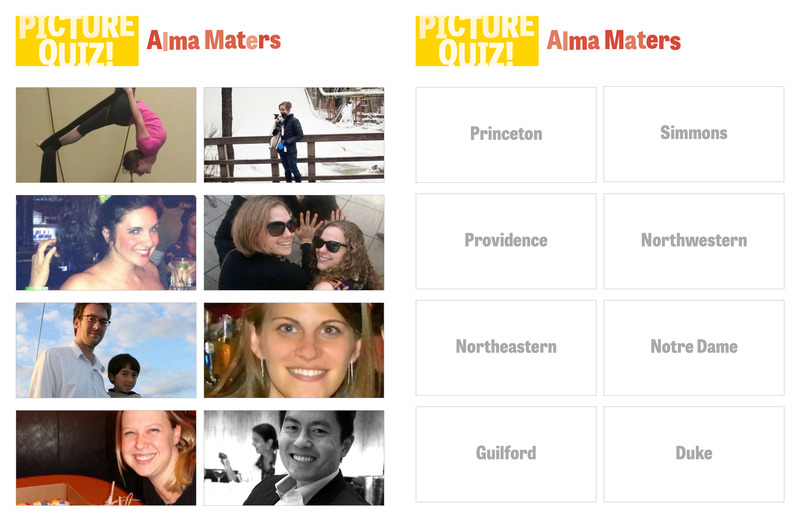 It took quite a bit of Facebook stalking, but at the end of the day it was super fun to include the participants. 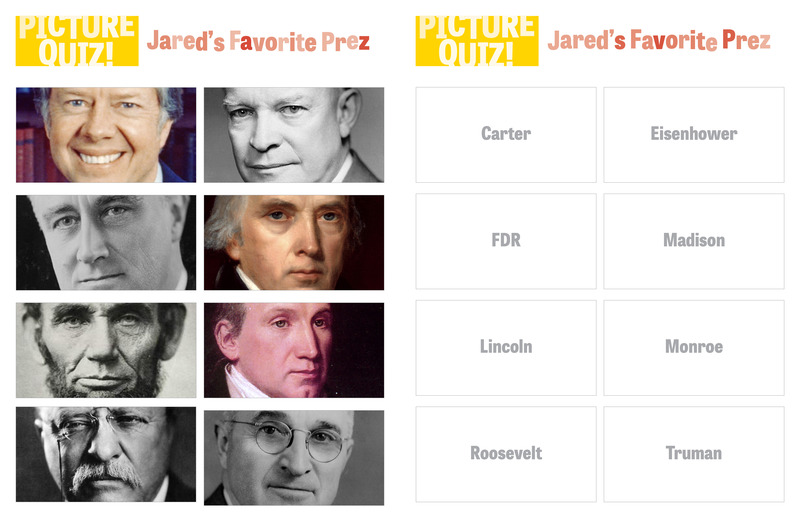 Here are the attendee-based quizzes (answer key on the left, quiz on the right). This next leg challenged the players to find two locations in Central Square, take a photograph and text it to me. Once they got two answers correct, I would text them their next clue. This was actually a really awesome leg because unlike The Amazing Race, I don’t have camera crews following each team, so most of their actual race-running was not documented. This helped us capture a moment on the race! Click through the pictures below to see the answers. This was probably the hardest clue out of all of the puzzles, and I knew it would take them a bit of Googling to figure it out. I was hoping that teams would either use Google Maps to scan the names of all the Central Square parks, or, using the right mix of keywords, land on this article. The answer was Clement G. Morgan park in Central Square, where the next leg of the race would take place. In my opinion, every scavenger hunt should have some combination of games. Because it was Easter Weekend, this one included an egg race! We also included an Express Pass: To skip one of the tasks, everyone on your team must take a shot and wait out a 7 minute penalty. Leg 5: Do You Remember? The final leg of the race happened back at our house. If you watch The Amazing Race, you’ll know that the last challenge of every season is a memory game, where contestants have to remember events that happened throughout the race. This was our mini version of that. At the start of the race, I asked everyone to introduce themselves and tell us where they went to high school. For the last leg of the race, everyone returned home and saw a blank board with a list of places. Their job: match all the race attendees to their hometown. I learned that scavenger hunts take a ton of work! Between writing the clues, designing the game pieces, printing and cutting the materials and buying all the props, it took us roughly 30 hours to assemble. I also learned that my friends are WAY more competitive than I give them credit for. We allotted about 90 minutes for the game, they finished it in under 45. I also figured out that I’m not the only person in our group of friends who loves puzzles – a few of us were chatting about putting on an epic days-long treasure hunt in Boston. I can’t wait. A huge thank you to Jared, who not only helped every step along the way, but also designed all the race materials and is the best scavenger-hunt-making partner in the world. i wish i had enough time and creativity to do something like this for my bday! i want to do something epic when i turn a quarter of a century!